36 Gauge Star - Orange (Sunshine, large star). For building up of the core, quick felting, and joining pieces together. 38 Gauge Star - Blue (Star, small star). For finer core details and sculpting. 40 Gauge Spiral/Twist - Green (twisted beanstalk, small spiral/twist). For finishing details, fine fibers such as Merino. 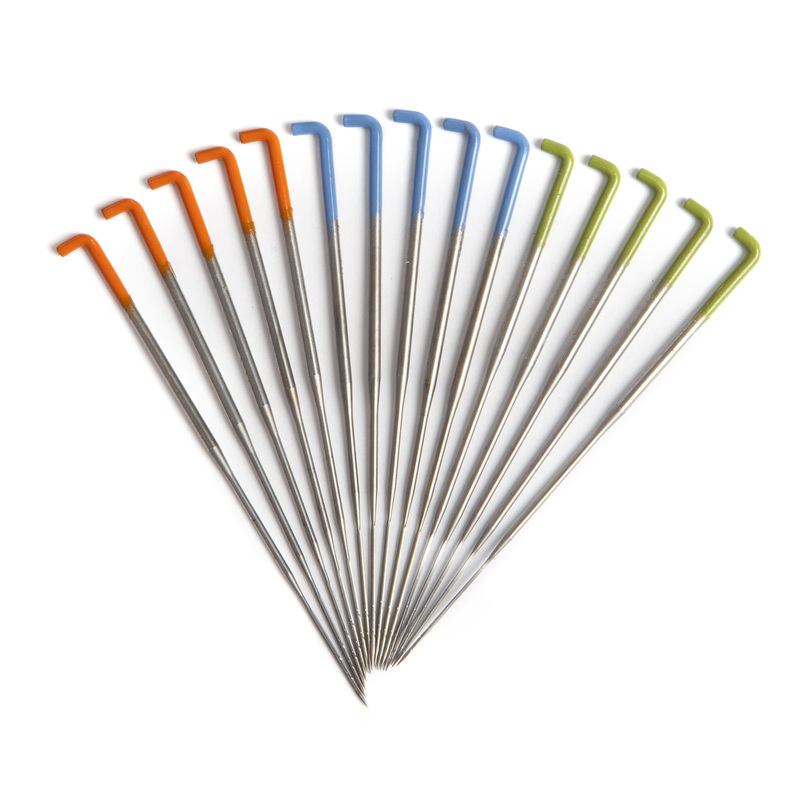 The needles are packaged in color coded envelopes inside a metal tin with a hinged lid. The tin is convenient for safe and easy needle storage, and for safe needle disposal. These are great, a real step up from the beginners that I originally bought. Love the needles! I also like that they are color coded. 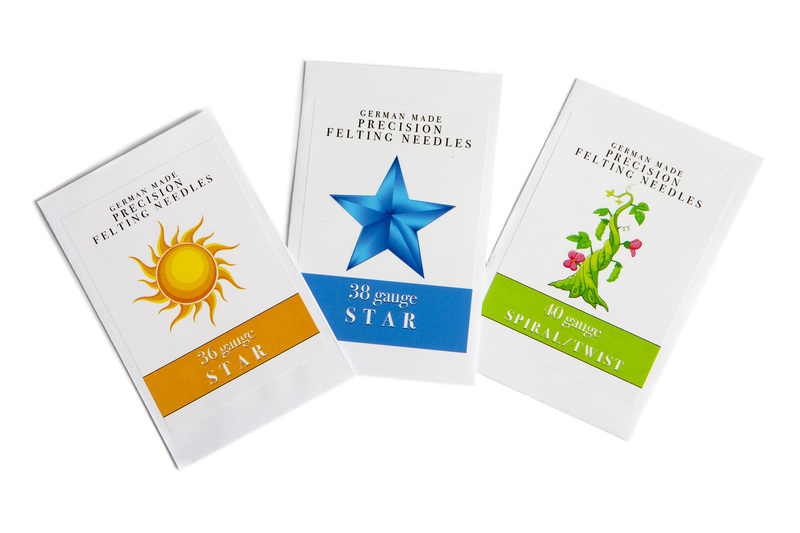 My order of color-coded felting needles (36 star, 38 star, 40 spiral) arrived as expected and as described in the listing.